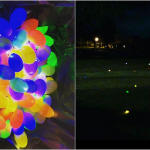 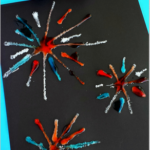 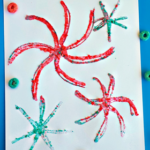 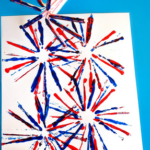 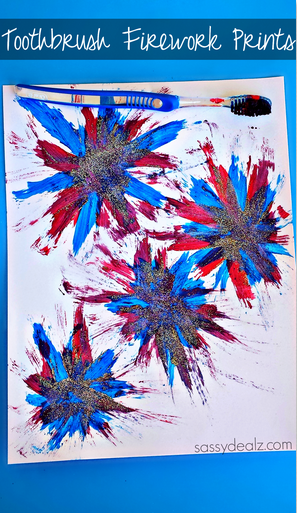 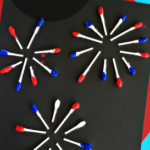 Have your kiddos make this fireworks art project by using an old toothbrush! 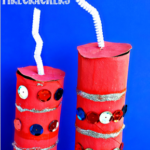 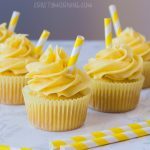 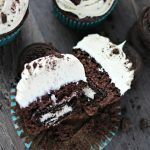 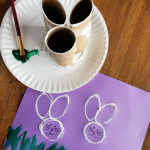 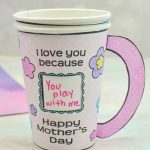 Frugal and easy for kids to make! 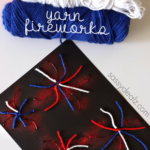 It’s a great craft idea to do for the 4th of July or Memorial day! 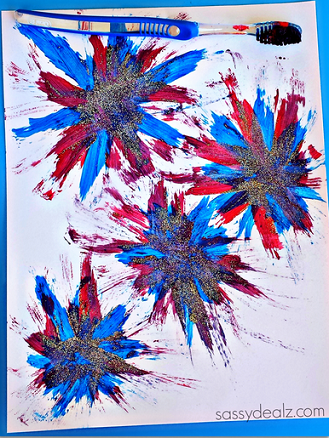 You will need paint, a toothbrush, glitter, and a piece of white paper. 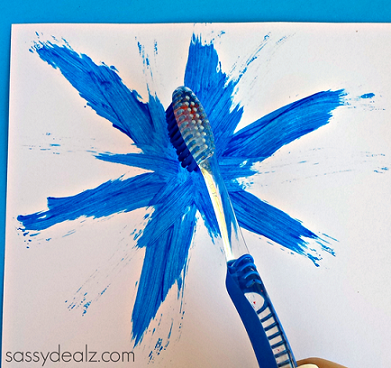 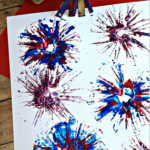 Have your kids dip their toothbrush into paint and making outward motions, make a firework shape! 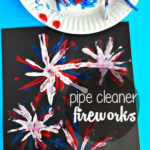 The less paint you have the better so you will get the little wispy lines on the outsides. 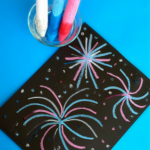 Finish off the fireworks by adding silver glitter.